Mild gum inflammation is identifiable when the gums become red and bleed easily because of plaque buildup around the teeth. Plaque is a sticky film composed of bacteria from sugars in food, this requires daily removal from good brushing and flossing habits. Plaque that stays on your teeth can harden under your gumline into tartar which can only be removed by a dentist or hygienist. 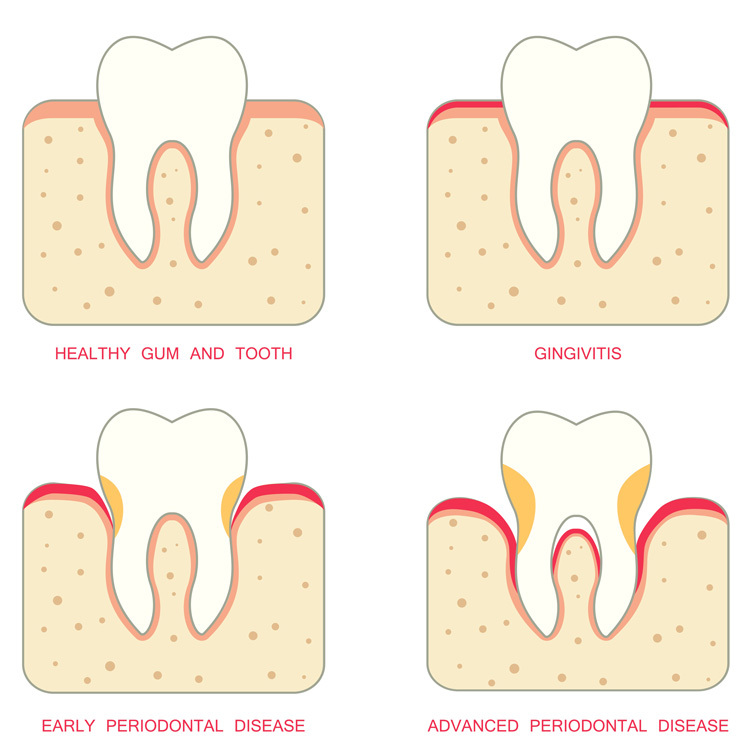 When gingivitis is left untreated, it turns into periodontitis. The longer that plaque and tartar remain on your teeth the more they irritate your gum. Your body’s immune system starts fighting the plaque and bacteria, but they continue growing and spreading below the gum line. Eventually, your gums and the tissue around the teeth are destroyed and your teeth have to be removed. -Crooked teeth that are difficult to clean. -Diabetes: People with diabetes are more likely to develop a periodontal disease because of increased sugar levels in the body which make infections more difficult to control. -Loose teeth which may shift in position because the bone tissue gets destroyed. What can I do if I have a Periodontal Disease? It’s important to maintain good oral hygiene by brushing and flossing regularly. 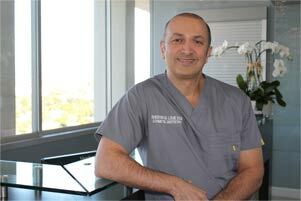 If your periodontal condition is advanced, it is necessary to see a Periodontist. If you would like to know how we can assist you to treat and prevent any gum disease or condition. Call us at (323) 461-9353.